a force that does not apply to him.” wondered the New York Times. Kee combines dance, acrobatics and juggling, all synchronized to music . . . The effect is mesmerizing. Female Fave: Ukrainian Viktor Kee, whose anatomically perfect. I could watch him all night, whether he could juggle or not, " one woman commented during intermission. More than a few men agreed. "...Viktor Kee, the world`s sexiest juggler. . .
Viktor Kee`s sensuous, intricate and stylish juggling would be cheered by the master, W.C.Fields. You are an eruption of talent. Viktor Kee has been performing on stage since he was six years old, the Ukrainian born juggler is a graduate of the professional Circus School in Kiev. He has won awards at most of the world’s major circus festivals including Cirque de Demain in Paris and the International Circus festival in Monte Carlo. 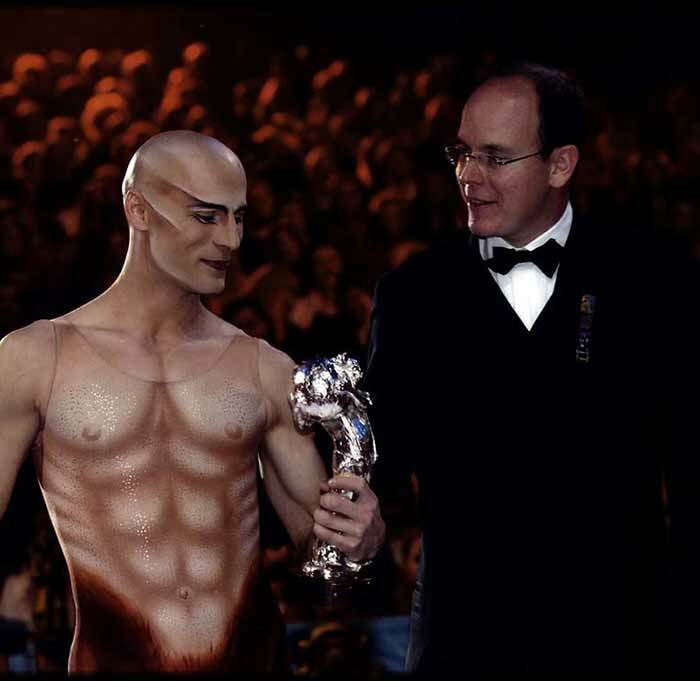 A favorite with audiences around the world, Viktor has performed at the Moulin Rouge, Lido de Paris, the Friedrichstadtpalast in Berlin, the Mirage, and the MGM Grand with Barbra Streisand in Las Vegas, Teatro Zinzanni in Seattle, the Royal Albert Hall in London, and around the world with Cirque du Soleil’s “Dralion”, “Voyage de La Vie” Singapore and currently played a lead character in new Cirque du Soleil show “Amaluna”. In the development of Viktor’s career he has stood on the shoulders of his forefathers in the juggling world. He has pushed the level of artistic expression in juggling to new levels. For Viktor, the world of movement and object manipulation is not only external, but also a physical manifestation of the internal emotional world. It is an ephemeral event that begs to be experienced viscerally as much as visually. Quite possibly the world’s best juggler, Viktor Kee, has developed a unique, mesmerizing style of juggling. A style of performance that melds dance, acrobatics and juggling into a wondrous ballet of sensuality. Along his career on stage Viktor is a Founder and Creative Director of Art Vision Production working on developing and managing other artists. Recently a new step was taking, Viktor has organized a Non-Profit “Viktor Kee Foundation” focusing on giving back to the communities by creating charity missions around the globe where Art Helps the World! Viktor Kee and Aurelia Cats. Together they bring to Art Vision the key elements of our modern Entertainment business Artistic Development, Agency and Production. Art Vision delivers unlimited possibilities to suit many production demands. Art Vision stands an example where performance and art can stand as one. 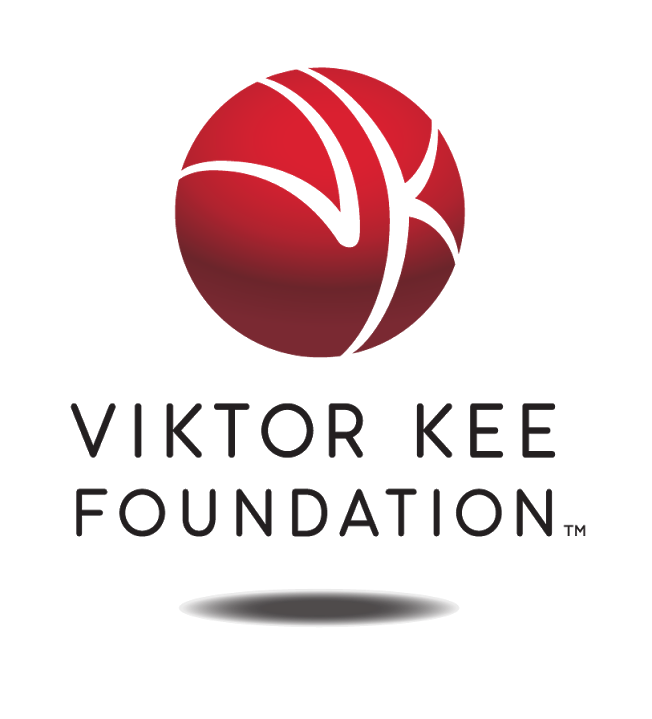 Viktor Kee Foundation is a 501©(3) not-for-profit organization with a charity mission around the globe. We are an ever-growing global community of committed, compassionate people who work to free the world of poverty and anguish. We believe that performing arts not only can entertain, but also empower individuals and communities to rise above economic poverty, while improving the lives of everyone they touch. Through myriad global projects, we are showing people a new path, providing assistance and creating an Open Circle of ambassadors around the world — visionaries who share our passion of bringing a social, educational, and artistic experience, as well as entrepreneurial spirit, to those who need it most. Spearheading our efforts are volunteer members of the Viktor Kee Foundation, none of whom are supported by funds generated by our projects.